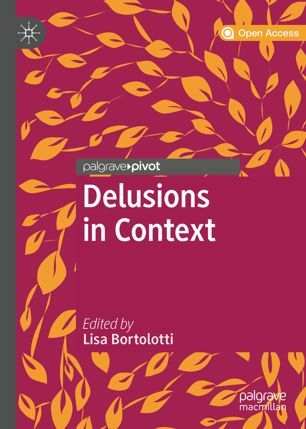 On 15th October at Hornton Grange Matthew Broome, director of the Institute for Mental Health in Birmingham, chaired the book launch of Delusions in Context (Palgrave Pivot, 2018), a collection of four new papers on delusions. The book is truly interdisciplinary, featuring authors with a background in psychiatry, lived experience, psychology, cognitive neuroscience, and philosophy, and is available open access on the Springer website. I edited the book. At the launch, I explained how the book fits with the work we have been doing as part of project PERFECT. In the project one of the objectives is to examine whether beliefs that we consider as epistemically irrational (either not supported by existing evidence, or resistant to new counter-evidence) can nonetheless have some benefits for the person who adopts such beliefs. Benefits could be cashed out in terms of increased wellbeing or reduced anxiety, enhanced motivation to pursue epistemic goals, or better performance in some contexts. Can delusions play a positive role at all, maybe one often hidden from view? The book consists of four chapters, written by Rachel Upthegrove and S.A. (chapter 1), Phil Corlett (chapter 2), Richard Bentall (chapter 3), and myself (chapter 4). Richard Bentall (Sheffield) wrote a chapter entitled "Delusions and Other Beliefs". In his talk at the launch, he highlighted some of the new ideas he proposes in the chapter, starting from the observation that we do not really know what beliefs are and thus it is difficult to characterise delusions as similar to or different from other beliefs. In the chapter he argues that it is possible to identify a class of master interpretive systems that includes political ideologies and religious belief systems, which are highly resistant to challenge. These systems seem to depend on implicit cognitive processes that are related to fundamental biological and social needs such as the need to form close intimate relationships or the need to avoid out-groups. 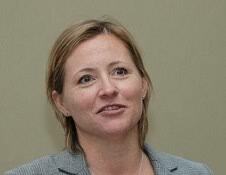 According to Bentall, delusions share many of the properties of master interpretive systems but stand out from them because they are idiosyncratic. I was relieved that medication reduced the intensity of my experiences over time. My delusional beliefs eventually subsided, after which I felt an incredible sense of loss that things I concretely experienced were in fact my mind’s creation. As evident from the quote above, Upthegrove and S.A.'s chapter does not just address what delusions are and what form they can take, but also their role in distress, treatment options, and challenges in the clinical context. 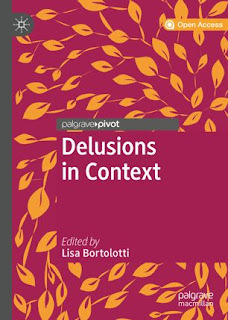 Unfortunately Phil Corlett (Yale) could not attend the book launch, but his chapter, "Delusions and Prediction Error", complements the perspectives summarised above by focusing on how delusions arise. He argues that the prediction error account gives a parsimonious account of delusions that generates novel predictions about how best to treat delusions and incorporates biological, clinical and phenomenological data regarding delusions. Matthew Parrott (Birmingham) joined the contributors at the book launch and kicked off the discussion by providing some general commentary on the book. He identified one of the common themes in all four chapters, which is the attempt to see delusions as continuous with other beliefs, and concluded by asking whether it makes sense of talk about delusions as pathological beliefs.